Lindsey Beckley: In the late 19th and early 20th centuries, people lived a lot more closely with death than we do today. Mortality rates were much higher. Wakes were held in the family home. And relics of the dead, such as death photographs and hair jewelry, were kept as prize possessions after the wake had ended. Perhaps it’s not surprising then, that from this time came the religion of spirituality, which was based on the belief that the spirits of the dead were not only here, in this world, but could even communicate with you, if you had the right skill set. Spiritualism was fairly widespread by the late 1800s and interest in the paranormal was at an all-time high. Skepticism was also at an all-time high. 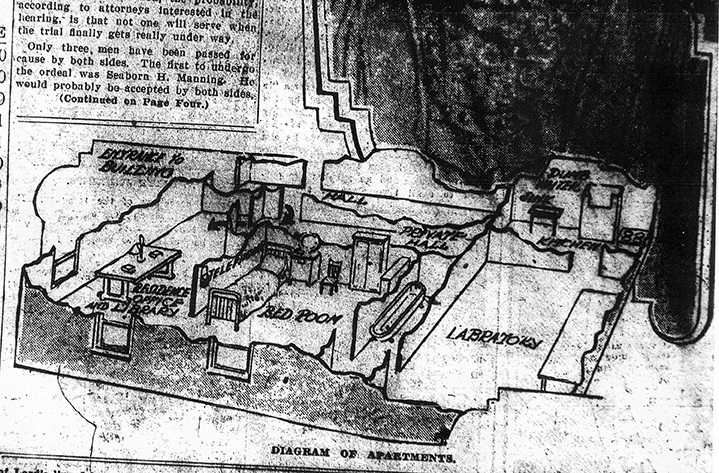 Cashing in on this divide, newspapers printed a wide variety of ghost stories and paranormal investigations. 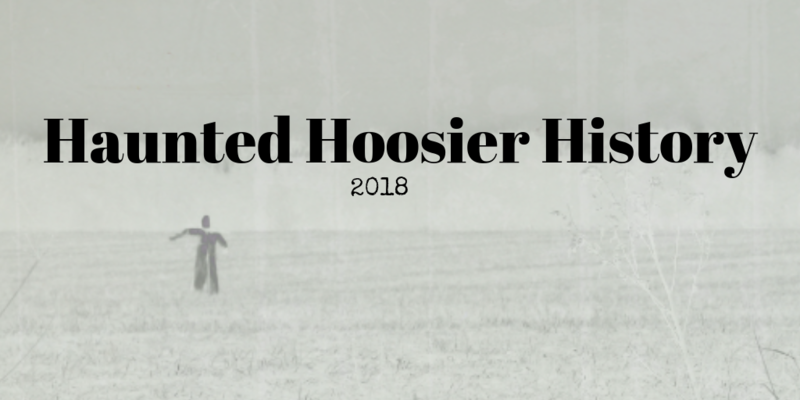 On this episode, join me as we explore just a few of these ghastly tales from the pages of historic Indiana newspapers. Beckley: I’m Lindsey Beckley, and this is Talking Hoosier History. Before we get to the eerie escapades of this episode, I wanted to give a bit of a warning. We’ll be exploring some rather spooky subjects today and there will be violence and there will be murder. If those topics make you uncomfortable, perhaps you should turn back now and join us again next episode. Otherwise…Welcome. Most ghost stories start with death. And our first terrifying tale is no exception. The Logansport Journal brought us reports of a patricide in Galveston, Cass County on September 9, 1895. Beckley: The early afternoon calm of Galveston was ripped away in an instant as gunshots emanated from the home of Daniel Kemp, one of the oldest and most well respected men of the small town. Daniel’s son, Frank, who had lost both of his legs in an accident and so used a hand operated tricycle to get around, fetched a doctor. The doctor attended the scene and found not only had Daniel been shot, he had also been bludgeoned in the head. The good doctor did everything he could for the wounded man, but it was in vain. The injury proved to be fatal. In the meantime, the ugly truth came to light: it had been Frank, Daniels own son, who pulled the trigger after quarrelling with his father over money. In that very courthouse where, a year and a half before, Frank Kemp had been found guilty of murder and sentenced to three years in prison. Two grisly reminders of this case sat in the basement of the court house, forgotten after the trial. 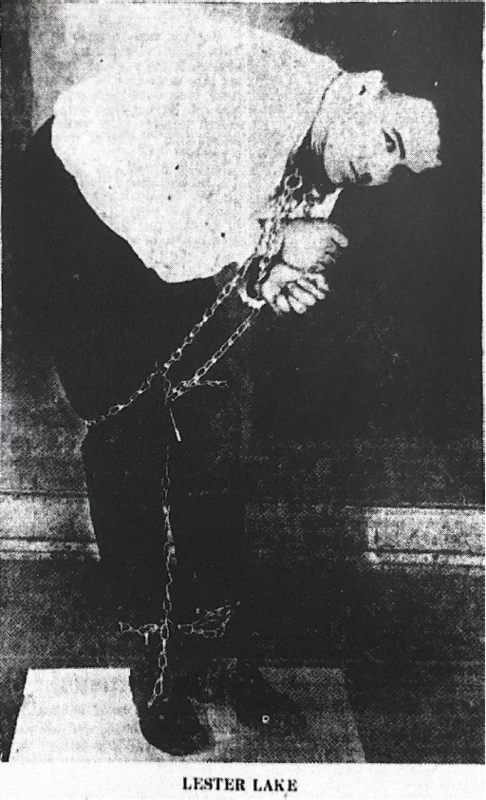 The hand operated tricycle which Frank Kemp had used to fetch the doctor that fateful day, and the cudgel he had used to bludgeon his father’s head, still stained with blood. Voice actor reading from newspaper: Sitting there, with the bright glow of an electric lamp over his head, he could hear the footsteps of the janitor. Beyond the bright light of the boiler room, there was darkness, black, impenetrable, save for the feeble ray of light reflected from the windows of the Journal office over the way. The shadows were blackest where reposed the mementoes of murder, and he looked with an apprehensive shiver toward this spot, there appeared to him the moving shape of a human being. Involuntarily he held his breath. With a sharp intake of air, which was more like a gasp, he half rose in his chair…his eyes opened to their widest, and his hair stood out in obstreperous points all over his head. The figure advanced with silent tread, weaving about from side to side as if mortally hurt, and, reaching the dim reflected light from the windows across the way, paused a moment as if for consideration. The figure was that of an old man, his shoulders stooped, his head crowned with silvery locks; his patriarchal beard swept his breast as he moved his head toward the speechless watcher, and his eyes glowed in their sunken sockets with a fire that was supernatural. Tom could stand no more; with a yell that roused the workers in the room above he dashed for a window to escape from the dreadful shape. 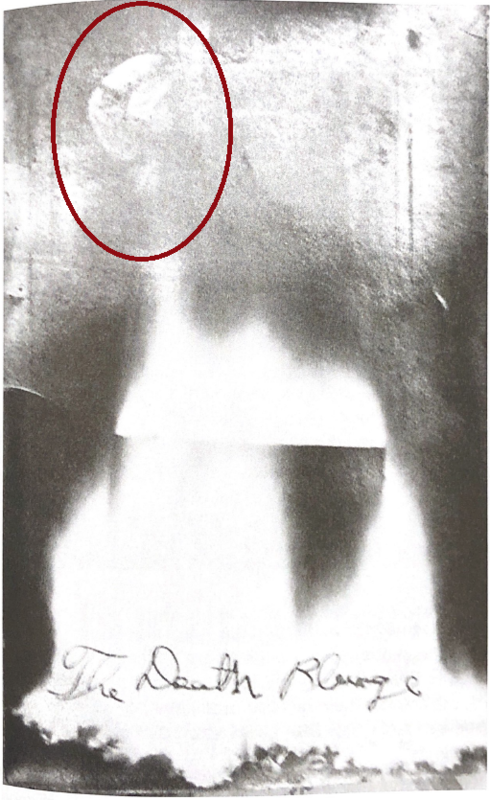 Beckley: Others saw the same figure in the following nights but none were able to explain what they saw. It was widely believed that this was the ghost of Daniel Kemp, haunting the space where these grisly relics of his murder were being stored. Beckley: Our next phantom filled fable is from the Logansport Reporter. 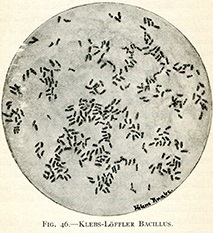 The Tale begins on February 18, 1899. 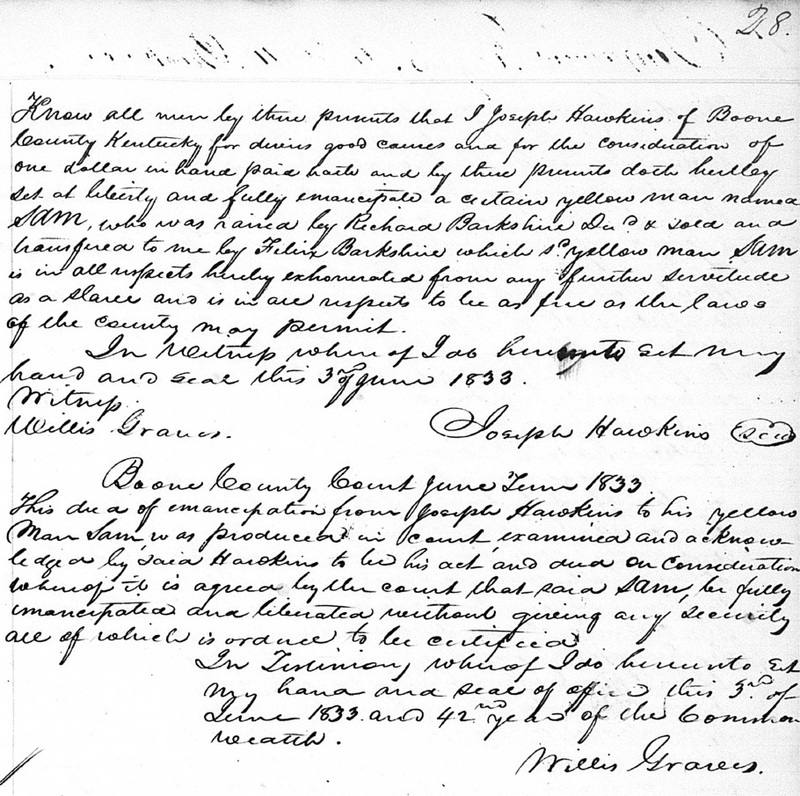 Beckley: On February 16, 1868, John Baer set out, on foot, from Thornhope, Cass County, to Star City, in Pulaski County to purchase several head of cattle. In order to conduct his business, he was carrying $3,000, – that’s nearly $90,000 today. Somewhere between his home and that of a friend, where he was planning to stop on his way out of town, Baer disappeared without a trace. That is, until exactly 30 years later, when Gabriel Fickle was walking along the same path that John Baer had 3 traveled decades before. Voice actor reading from newspaper: As he was returning from Royal Center to his home via the railroad he dimly decried a form approaching as he neared the old water tank. The figure was walking slowly and as Fickle approached it stopped in front of him. Fickle crossed to the other side of the track and the figure did likewise at the same time extending a hand and exclaiming, ‘Why Gabe, don’t you know me.’ Fickle replied negatively, but put forth his hand to shake hands with the friendly stranger when to his horror he found himself grasping thin air, although in other respects the apparition was life like. 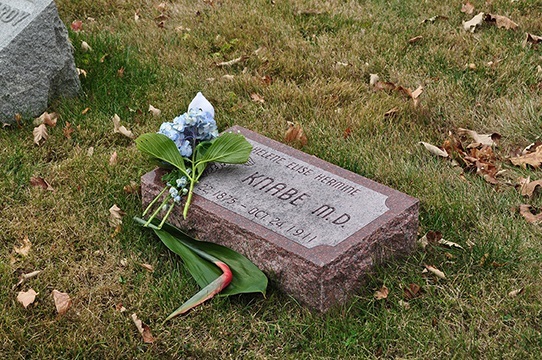 Before Fickle could make an effort to speak the specter further frightened him by continuing, ‘I am the ghost of John Baer, murdered on this spot thirty years ago tonight.’ Fickle declares he was seized with the most abject fear. His hair stood on end, his throat was parched and strive as he would not a sound came from his lips. He tottered past the vision of the dead, but the latter followed. Beckley: Fickle screwed up his courage and asked the entity how he met his death. The ghost confirmed that he had been murdered for the money he carried and stated that those guilty of the egregious crime were still living in the area. The specter then demanded that Fickle not speak a word of this encounter for exactly one year. Fickle, eager to be gone, gave his word and fled the site. One year later, his account was published by the Reporter, lacking one important detail – the identity of the murderers. Fickle explained that the ghost had not yet given the names of the guilty parties but he assured them that he would attempt to meet the spirit again, and this time he would demand to know who among the towns’ people had murder in their hearts. Voice actor reading from newspaper: Tell Thornhope people that my bones are crying out for vengeance and they are the instruments through which my murderers are to be brought to justice. Beckley: However, the ghost must not have been too keen for justice because even after several conversations with Fickle, spanning the next year, Baer still refused to reveal the names to him. 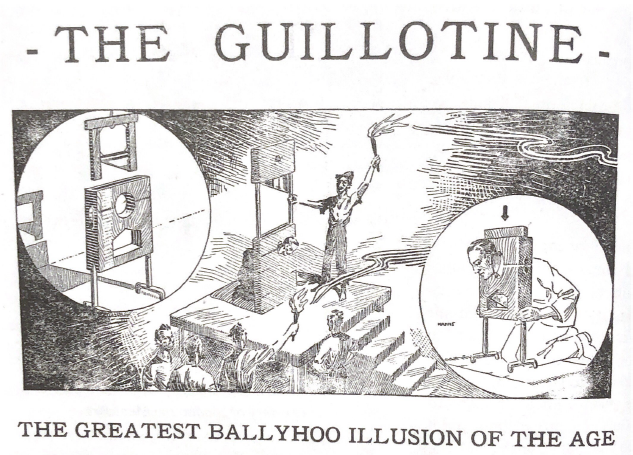 Yet, even as late as April of 1900, newspapers report that the truth was forthcoming. Voice actor reading from newspaper: Gabe Fickle of Thornhope claims to have had another visit from John Baer’s ghost, warning him to keep a compact to meet the specter at an old well, at midnight, when the names of Baer’s murderers would be divulged. 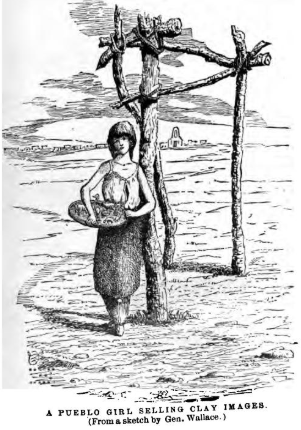 Fickle hesitates about going to the well alone, and can induce no one to go with him. The ghost threatens to haunt him all his life if he does not keep the appointment. Beckley: Whether or not he attended that last meeting, we will never know as the Thornhope ghost – or indeed the names of Gabe Fickle or John Bear – never appear in the pages of newspapers after that. Beckley: Our next tale is about another justice seeking shade, only this time, he’s not in pursuit of those who caused his death…rather, he’s looking to safeguard his legacy. 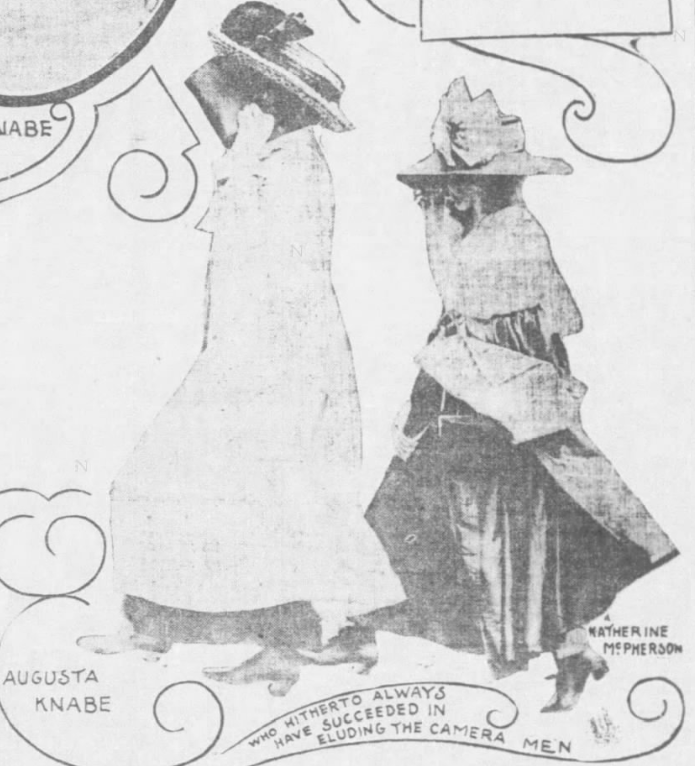 The story can be found in the July 19, 1914 issue of The Indianapolis Star. 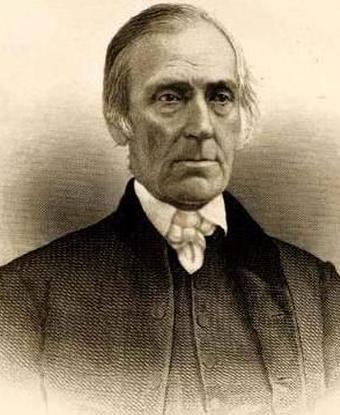 Beckley: James Whitcomb served as Governor of Indiana from 1843-1848. He was once described as “one of the most cautious and timid men in the world.” The same could not be said of his ghost. Upon his death in 1852, Whitcomb left his large, eclectic library to DePauw University in Greencastle, Indiana. He apparently put little faith in the security of the library because, instead of spending his afterlife in paradise or roaming the halls of his home or tormenting his enemies, he took to haunting the stacks. His will had specified that the books in his collection were strictly for reference and were not to go into circulation. But mistakes were made and on a few occasions a book was allowed to leave the doors of that stately institution. Each bible-transgression incurred the wrath of the wraith. The governor’s ghost hunted down each tome like a hound. 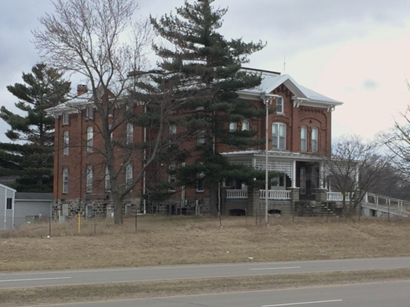 The article says there were several different instances of book related hauntings on campus but one in particular stood out among the others. A freshman, browsing the books of the Whitcomb collection, happened across one in particular that caught his eye. A rather old volume with a faded cover bearing the name “The Poems of Ossian.” The book, written in the mid-1760s, is purportedly a collection of ancient Scottish folklore, collected by James Macphereson. 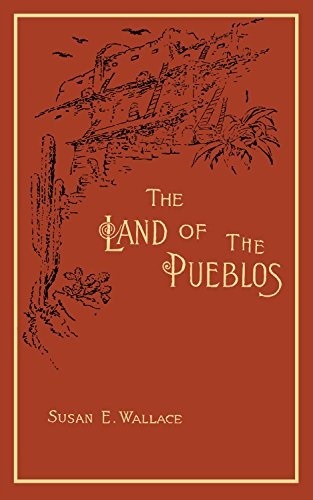 It was also Governor Whitcomb’s favorite tome. Beckley: The words were repeated again and again as the young man lay frozen in fear. After some time, the apparition, along with its accusing words, faded into the darkness. He spent a sleepless night waiting for the library to open its doors the following morning and was the first patron of the day. Beckley: Not all ghosts have such a specific purpose behind their ghastly wanderings. 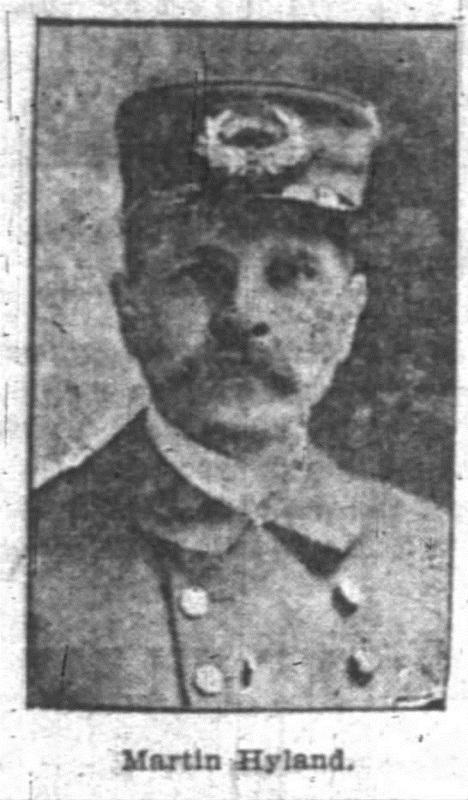 Take for example this account from the Muncie Evening Press from July 31, 1905. 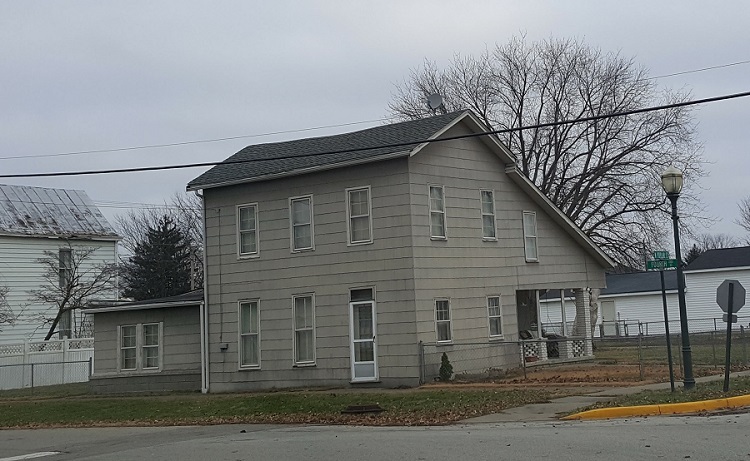 Beckley: Residents of Flaherty’s Siding, near LaPorte, upon arriving at the nearby train station would see nothing out of the ordinary…unless, that is, they were arriving after sunset. Then they would see…well…a ghost, of course. Voice actor reading from newspaper: Headless, and acting for all the world like an animate thing, the apparition occurs intermittently. It makes its appearance with unfailing regularity, and standing on the platform with dinner pail in hand, it swings its arms back and forth as if it were flagging an approaching train. Then it disappears, and, in disappearing, frequently gives unearthly shrieks, as though suffering terrible pain. Beckley: It was widely believed that the phantom was the spirit of Columbus Cole. Voice actor reading from Newspaper: Cole, who was a well-known and popular resident of the vicinity of Flaherity’s, was run over by an engine within a few feet of the spot where the water tank stands. In the accident his head was completely severed from his body. We looked, and right before us, and but a short distance from the old water tank, we saw a strange apparition – a form, headless and carrying a dinner pail. It was the ghost and not a delusion of the eyesight. 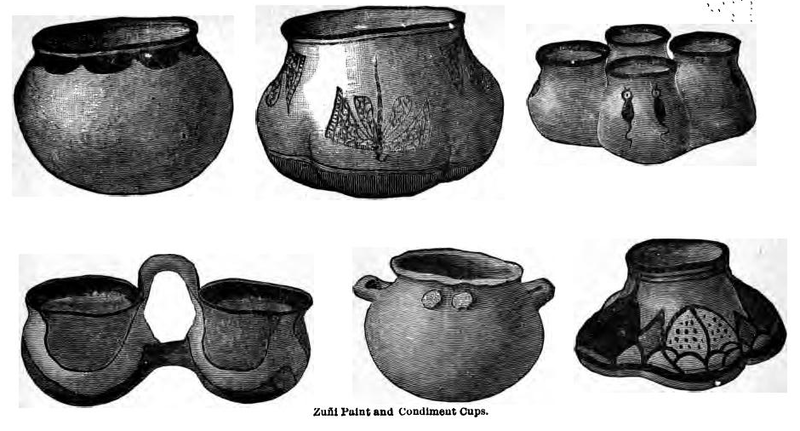 We would plainly see the real, clear outline of Columbus Cole as we knew him in life, and it was even the same dinner pail that he invariably carried to and from his work. For 5 minutes or more we watched the apparition as its arms swung back and forth…Presently, as if spurred on by one united impulse, we rushed to the spot where we had seen the headless figure. But upon reaching the spot nothing but vacancy greeted us. Cole’s ghost had entirely disappeared and we stood and looked at one another in silence, marveling at the supernatural incident. But our curiosity had been satisfied and we were no longer skeptics, but believers. Beckley: This apparition, unlike others we have covered, seemed to not realize it had passed from the realm of the living. Columbus Cole was there, waving down the train that would kill him, for years after his death. That’s all the time we have for ghost stories. We’ll be back next month with more Hoosier History, this time without the haunts. Beckley: I’m Lindsey Beckley and this has been Talking Hoosier History. Talking Hoosier History is a product of the Indiana Historical Bureau, a division of the Indiana State Library. Talking Hoosier History is written by me, Lindsey Beckley. Production and sound engineering by Jill Weiss Simins. The voice of newspapers on the show is Justin Clark, project assistant for Hoosier State Chronicles, Indiana’s digital historic newspaper program. Find more alarming anecdotes of the supernatural from the pages of historic newspapers at newspapers.library.in.gov. To see the sources for this episode, and all of our episodes, go to blog.history.in.gov and click on Talking Hoosier History at the top. 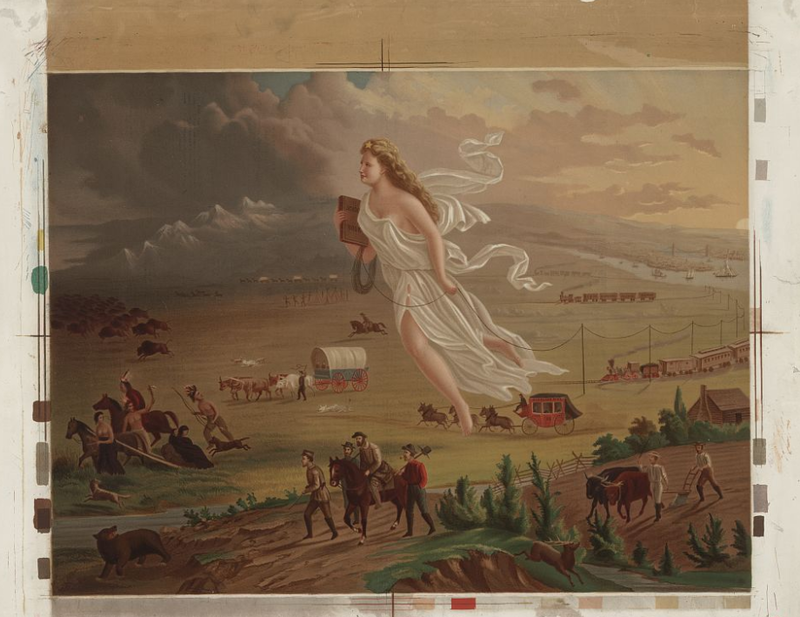 Keep up with us on Facebook at Talking Hoosier History or on Twitter at @TalkHoosierHist. Subscribe, rate, and review us wherever you get your podcasts. Thanks for listening! “A Ghostly Shape.” The Logansport Journal, February 3, 1897. Accessed Newspapers.com. “Farm Boiler Explodes.” The Indianapolis Journal, November 15, 1903. Accessed Newspapers.com. “Frank Kemp’s Awful Crime.” The Logansport Journal, September 10, 1895. Accessed Newspapers.com. “Ghost Walks Again.” Logansport Reporter, February 26, 1899. Accessed Newspapers.com. 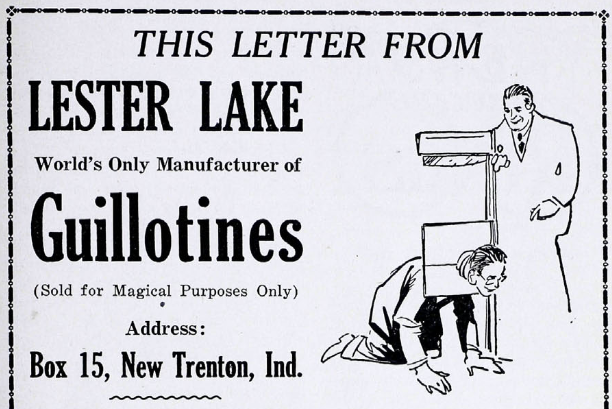 “Ghost Will Not Lie.” The Hamilton County Ledger, April 27, 1900. Accessed Newspapers.com. “Headless Ghost Grows Uneasy.” Muncie Evening Press, July 31, 1905. Accessed Newspapers.com. 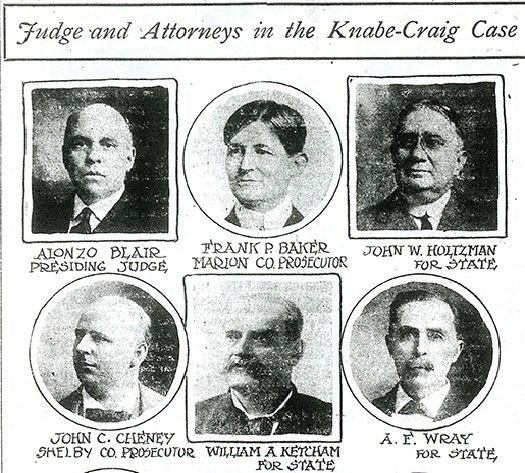 “Kemp Sentenced.” The Logansport Daily Reporter, September 23, 1895. Accessed Newspapers.com. 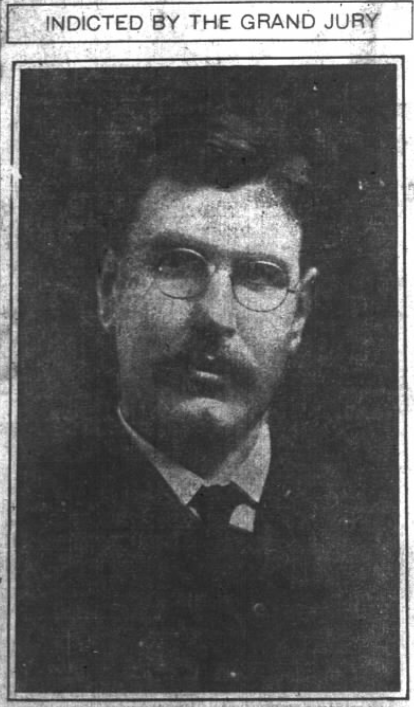 “Shade of Baer.” Logansport Reporter, June 17, 1899. Accessed Newspapers.com. 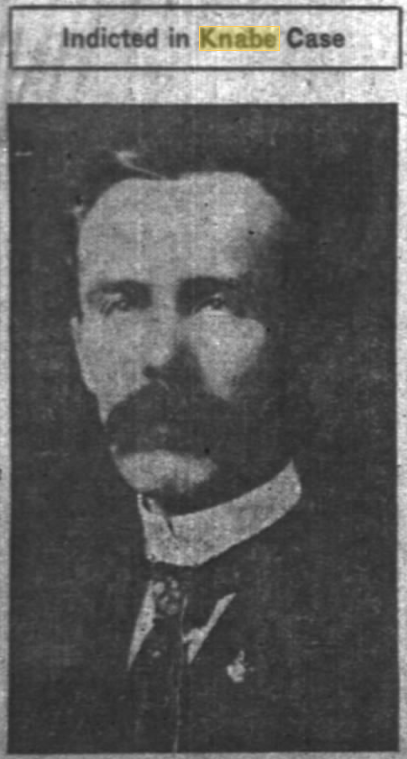 “Talked With a Ghost.” Logansport Reporter, February 18, 1899. Accessed Newspapers.com. 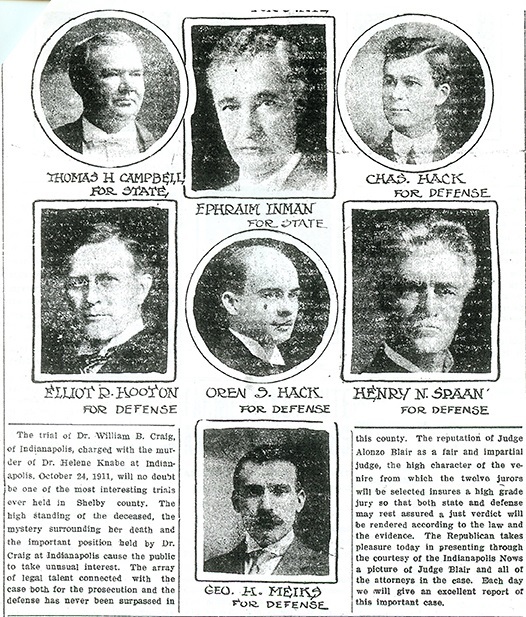 “Governor’s Ghost Guards Library.” The Indianapolis Star, July 19, 1914. Accessed Newspapers.com. 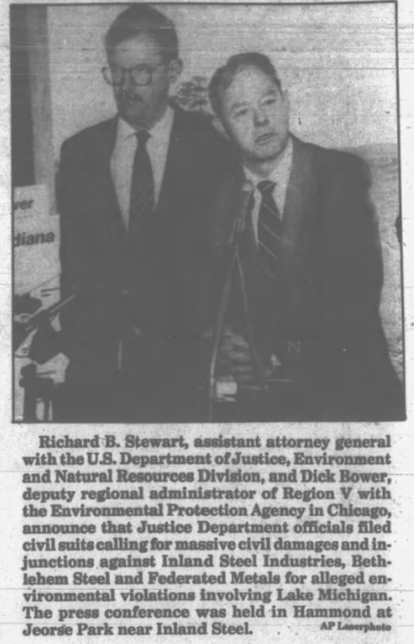 The EPA’s 2018 investigation of Hammond’s soil lead levels, a response to the “national criticism of its slow reaction to polluted water in Flint, Mich., and lead-contaminated housing in East Chicago,” (Chicago Tribune) inspired us to take a look at Federated Metal’s origins. 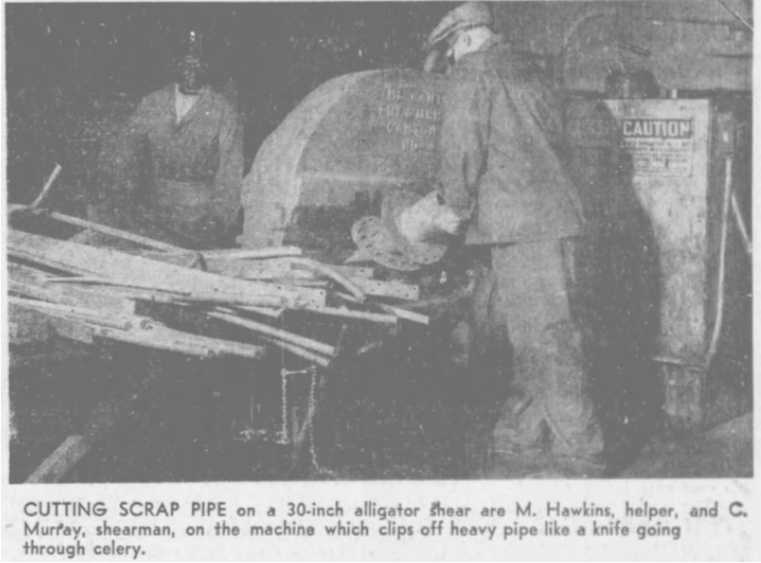 In 1937, the Chicago-based company announced it would establish a plant in the Whiting-Hammond area. 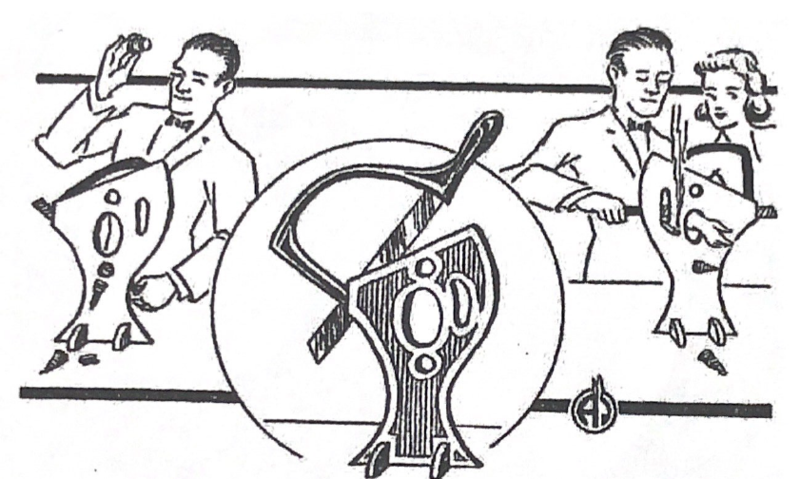 By 1939, hundreds of workers produced non-ferrous metals used in automobile, housing, and oil drilling industries. Almost immediately after production began, the community voiced complaints about the effects on their health. 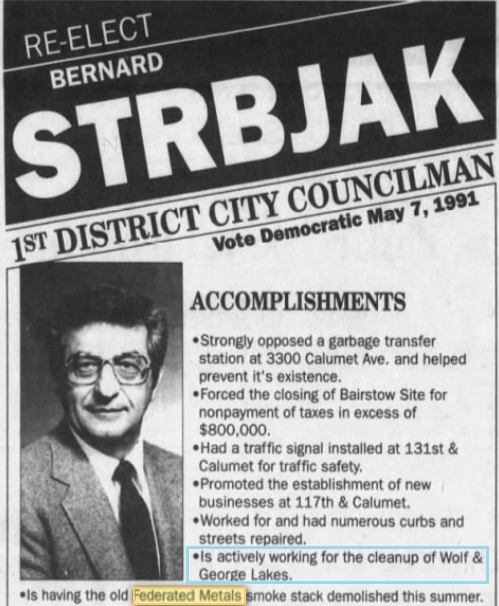 Rydzewski’s next sentiment encompassed the conflicting priorities related to Federated Metals from the 1930s until its closing in 1983: “Certainly, the value of health impairment to residents in the vicinity far surpasses any questionable tax-able asset this company can create.” Although he bemoaned the fumes plaguing the city’s residents, he also noted that the plant could “boast of its colored personnel; its predominating out-of-state and outside employe[e]s; its labor policies.” Since the 1930s, Federated Metals has served as both the bane and pride of Hammond and Whiting residents. The plant experienced labor strikes, symbolized livelihood and industrial progress, helped the Allies win World War II, and was the site of accidental loss of life. 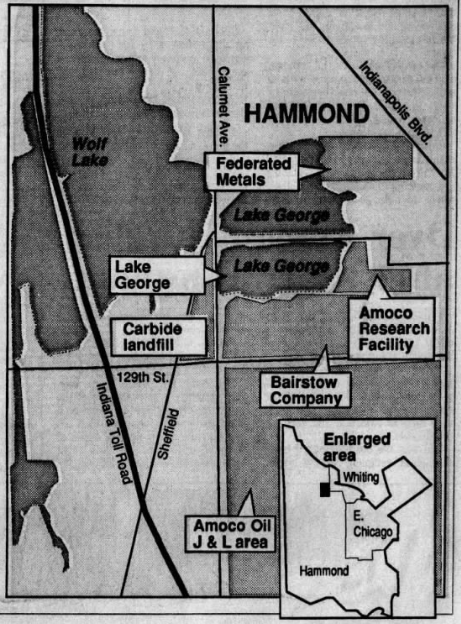 “Hammond Plant Makes Various Metal Alloys,” The Times (Munster), June 13, 1949, accessed Newspapers.com. By November, Federated Metals had constructed a $50,000 smoke stack much taller than the previous, offending one, so as to diffuse smoke farther above the Robertsdale neighborhood. In March 1940, Prior stated that citizen protests had ceased with the improvement. 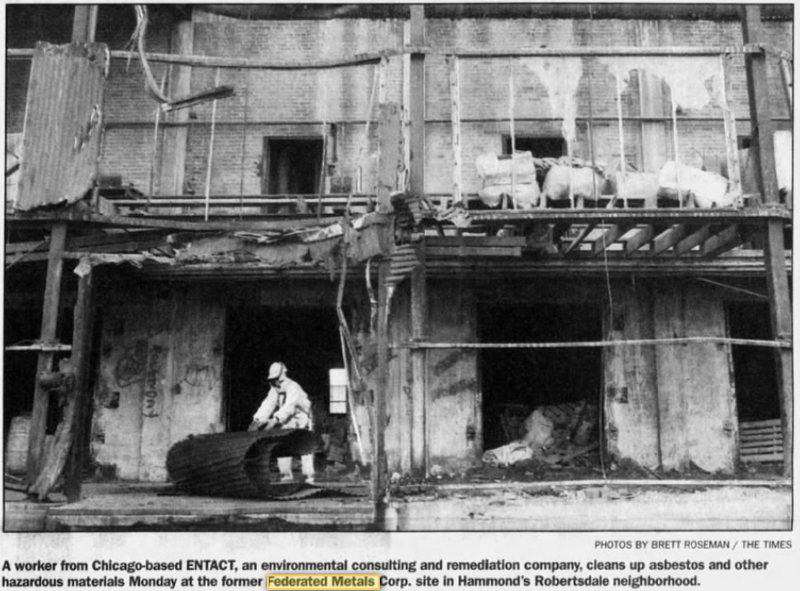 Following this remediation, the Munster Times published a smattering of articles throughout the 1940s about health complaints related to plant output. In October 1941, the Times published a short, but eyebrow-raising article regarding allegations that Federated Metals tried to pay Whiting residents in the area as a settlement for property damaged by fumes. 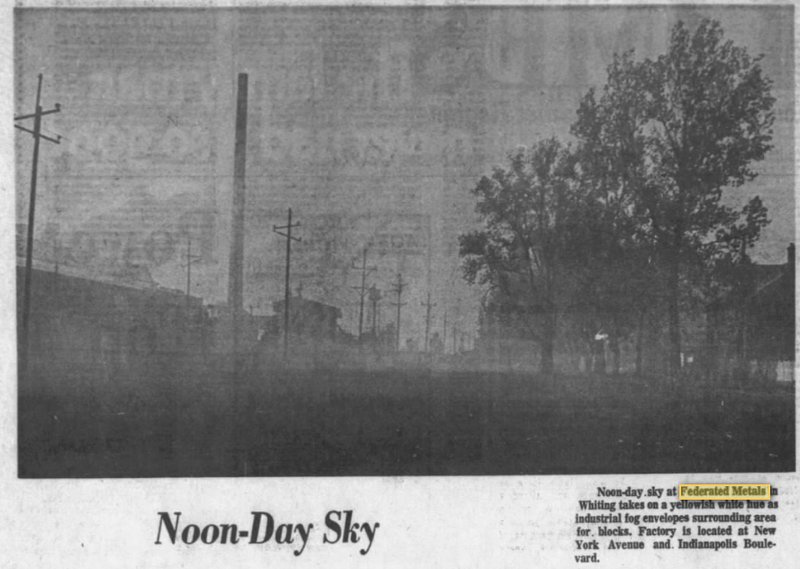 Councilman Stanley Shebish shouted “When the people of this community suffer bad health and many can’t go to sleep at night because of this smoke and particles of waste, it is time to stop an underhanded thing like this!” Health officials maintained that the sulphur dioxide fumes were “not a menace to health,” but may be “detrimental to flowers and shrubs.” Whiting’s St. Adalbert’s Church filed a similar complaint about the health of students, teachers, and parishioners in 1944. Cpl. Glen Kirkman transporting war material from Federated Metals Whiting location on Indianapolis Blvd. to the company’s Chicago headquarters, The Times (Munster), June 19, 1945, accessed Newspapers.com. While citizens lamented pollutants, the plant churned out “vital war materials” for World War II operations. (The Air Force also awarded the company contracts in the 1950s.) In accordance with the national post-war trend, 1946 ushered in labor strikes at the Hammond-Whiting plant. The Times reported that in January CIO United Steelworkers of America closed down the “Calumet Region’s steel and metal plants,” like Inland Steel Co., Pullman-Stan. Car & Mfg. Co., and Federated Metals. On February 17, Federated Metals agreed to increase the wages of its 350 employees to $32 per month. Labor strikes, such as that which “deprived workers of a living and dampened Calumet Region business,” took place at Federated Metals until at least 1978. This last strike lasted nearly five months and required the service of a federal mediator. On January 5, 1949, one of the grimmest events in the plant’s history took place at the receiving department. While unloading a shipment from National Lead Co., Federated workers were suddenly overcome by arsenic seeping from rain-sodden drums. The gas, which can also cause paralysis, memory loss, and kidney damage, took the lives of four men and hospitalized eleven. 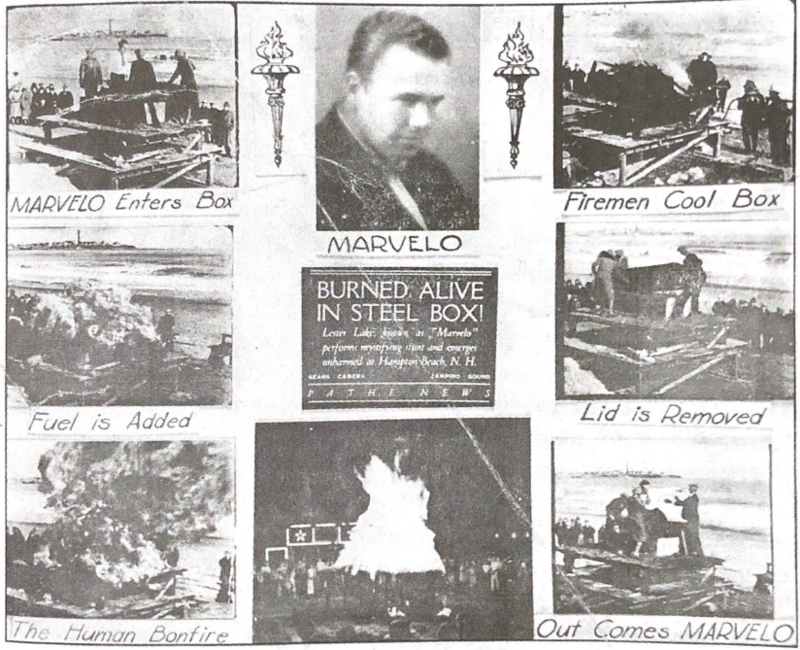 The Times noted that “only the caprice of weather saved scores of Hammond and Whiting residents” from dying while the open freight cars transported the drums from Granite City, Illinois to the Federated Metals plant. The cities’ residents narrowly avoided catastrophe, since rain causes metal dross to generate deadly arsine gas. 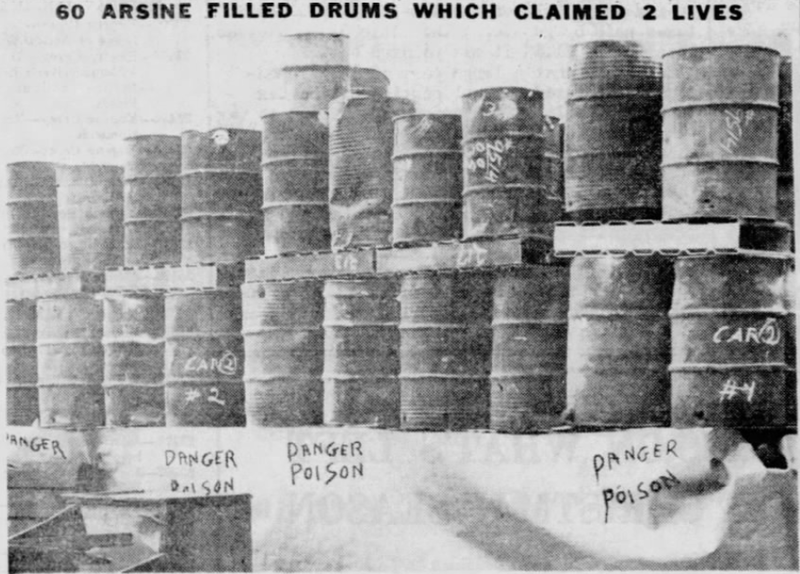 Drums at Federated Metals’s Whiting-Hammond plant, The Times (Munster), January 9, 1949, accessed Newspapers.com. 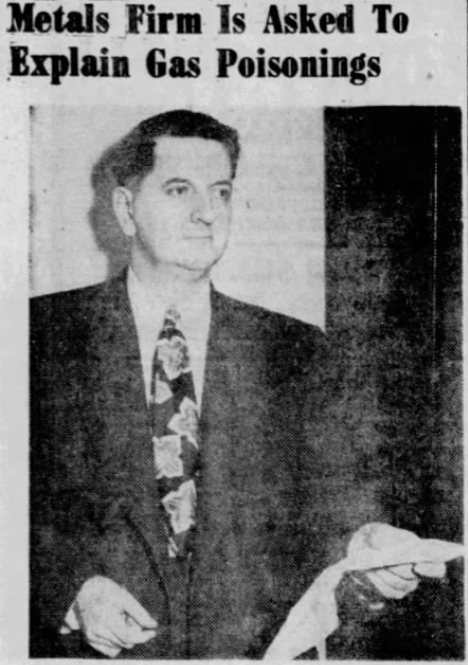 Deputy Coroner Dr. Richard H. Callahan, The Times (Munster), January 20, 1949, accessed Newspapers.com. A.J. 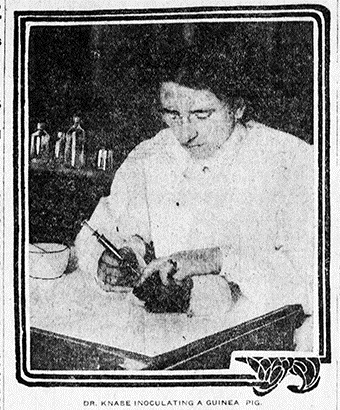 Kott wrote in the paper that Federated workers’ lives could have been saved had British Anti-Lewisite (BAL) been on hand, “a miracle drug, discovered during World War I in University of Chicago laboratories.” Instead, the drug had to be rushed to St. Catherine Hospital to treat affected workers. While Dr. Callahan identified the state board as the responsible party, questions regarding Federated’s culpability lingered, such as if they violated the state act requiring employees wear gas masks and if they should have had BAL on hand. Following the accident, the company promised to strengthen safety procedures, like employing gas detecting devices when material arrived. 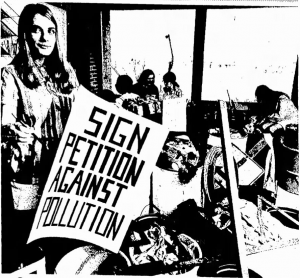 Nearly twenty years later, Federated Metals found itself in the cross-hairs of the environmental movement, which had produced the first Earth Day and the Environmental Protection Agency. Learn about the U.S. Justice Department’s suit against Federated and the politics of pollution in Part II. 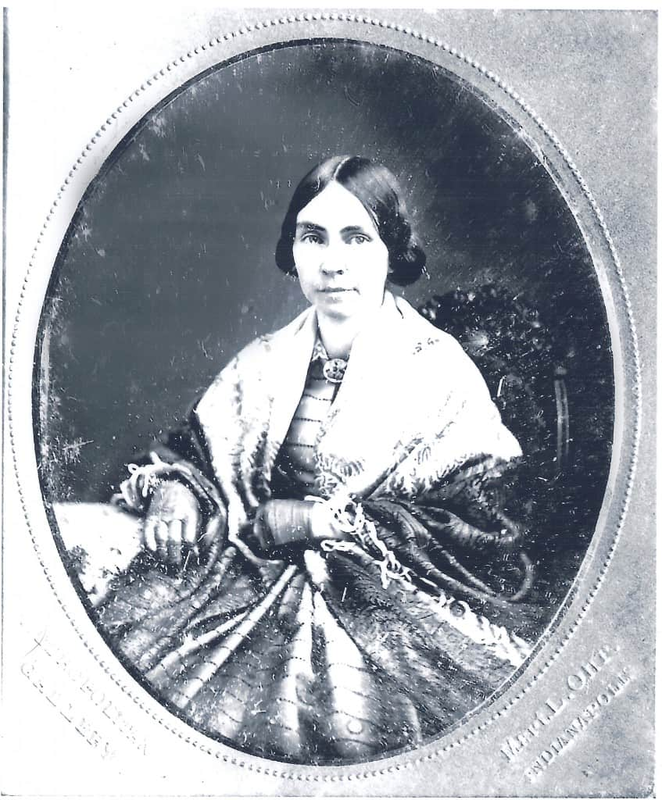 Lindsey Beckley: If you’re a young woman, between 17 and 26 years of age, with a grammar school education, who speaks unaccented English, is unmarried, has an arm stretch of at least 5 feet, a sitting height of 32 inches, good eyesight, unimpaired hearing, a pleasant voice, a patient and courteous disposition, a neat appearance, and can pass a blood test to clear you of any heart diseases, boy do I have a job for you. Then again, perhaps not. For once you pass this litmus test, the job you face requires you to work at a “pace which kills” – and that job is switchboard operating. 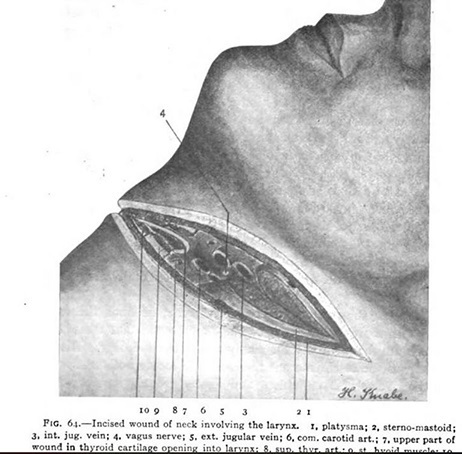 Woman’s Voice from Historic Footage: Perhaps you’re never seen an operating room. You’ll find it very interesting. 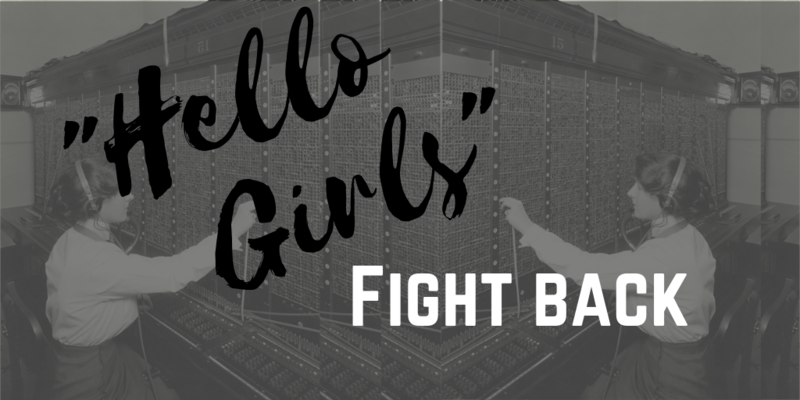 Beckley: On this episode, we’ll discuss the harsh conditions of switchboard operators in the 19 teens – and 13 women from Linton, Indiana who, along with their entire town, took on the Indiana militia in an effort to better those conditions. Beckley: I’m Lindsey Beckley. And this is Talking Hoosier History. A lot was expected of Telephone Switchboard operators in 1919. In a single hour, a “hello girl” was expected to transfer up to 600 calls – that’s 1 call every 6 seconds. During each of those calls the operator would see a small light glowing, indicating someone was on the line. She would plug into the jack associated with that line and answer “Number, Please?” Once the caller gave the number, the operator would repeat each digit back to the caller. She would then test the line of the receiving party before connecting the call by plugging into the appropriate jack. All in 6 seconds. Beckley: This heavy oversight, restrictive work environment, and breakneck work pace, combined with low wages and limited opportunity for advancement, led to a series of telephone operators’ strikes throughout the United States between 1917 and 1919. Beckley: By that time, there was a long history of women striking for better working conditions in America. One of the most notable of these was in 1910, when 20,000 garment factory workers in New York City struck for 13 weeks for improved working conditions and better pay. The strikes were largely successful – over 300 companies capitulated to the women’s demands. One of the few that resisted reform was the Triangle Waist Company. One year after the strike, a devastating fire ripped through the Triangle Waist Factory resulting in 146 deaths – overwhelmingly women. This tragedy highlighted the cost of the owner’s reluctance to reform and the resulting outrage sparked new strikes and labor laws. Less than a decade later, in the wake of World War I, inflation had doubled the cost of food and tripled the cost of clothing. Wage increases weren’t even close to keeping up. In 1919, the same year as the Linton Strike, labor unrest was at an unprecedented height. That year, nearly one fifth of the nation’s workforce went on strike at some point. But for all that, what happened in Linton, Indiana was unique. Beckley: On Thursday, April 24, 1919, 13 women took off their headsets and staged a walk out at the New Home Telephone Company in Linton, Greene County, Indiana. Strikes were a fairly regular occurrence in the small town where nearly every working person was a union member. And at first, this strike seemed no different than previous strikes. 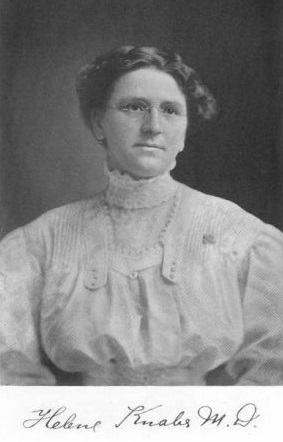 Beckley: The demands were reasonable enough – the women wanted $8 a week minimum pay, an 8 hour work day, and, more importantly, they wanted the company to recognize their union. The next day, the company brought in 8 women from Indianapolis to work the lines and keep telephone service going. And this is where the strike turned from a typical labor stoppage to something quite different. With the strikebreakers, telephone service in the town continued throughout the week, but tensions were mounting. 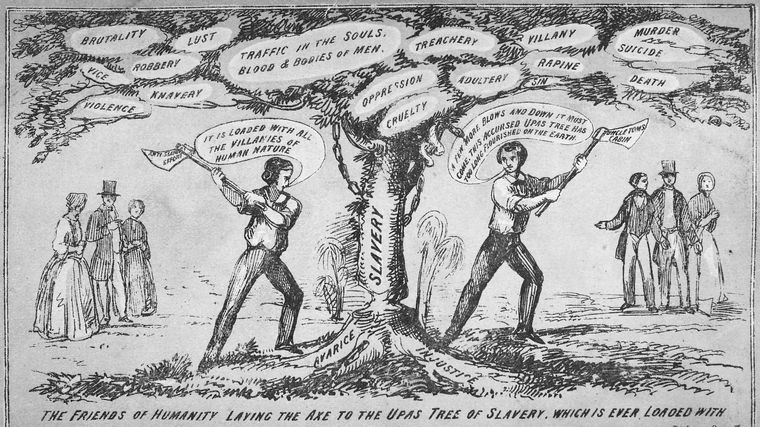 As news spread of the strikebreakers being brought in to Linton, the union workers of the town rose in outrage. Two men, who had recently returned from the WWI front, donned their military uniforms, climbed to the top of the building, lowered the American flag, and took it to a nearby house, saying that the American flag should not fly over such a place. While the men scaled the building, Verna Talbott fired two shots at them, thinking they were trying to force their way into the building. Fortunately, both shots missed their targets. The crowd around the building grew more and more riotous as time passed and began throwing stones and rocks, breaking many of the windows and leaving the floors strewn with broken glass. 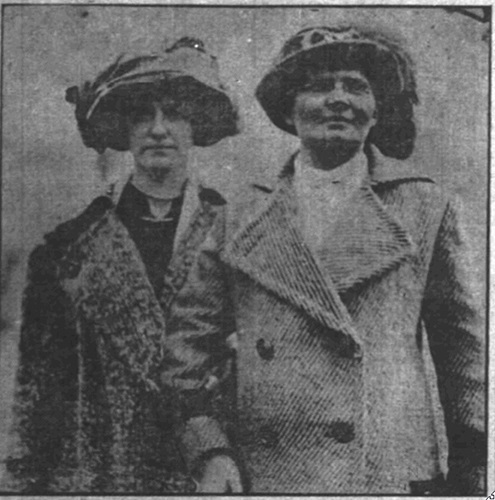 Strikebreaker Ruby Stevens fled to the roof, where the Greene County sheriff, Isaac Wines, and Mayor Miller later found her and took her to a nearby hotel before returning to the site of the riot. Apparently his words had little effect on those in the crowd because directly after the meeting, the crowd spilled out to the streets and made their way to the telephone building, where two of the replacement operators, Verna Talbott and Ruby Stevens, along with the telephone company manager Harley Guthrie, were posted. The crowd, estimated to be between 500 and 1000, surrounded the building and demanded that the outside operators be removed and returned to Indianapolis. The crowd wasn’t satisfied with the departure of Miss Stevens, though, and demanded that the one remaining operator leave the building before negotiations commenced. Talbott finally agreed to leave after being warned by the police chief that she may be killed if she stayed any longer. When she walked out of the building, the crowed parted and she walked among boos and jeers to the same nearby hotel where all the other strikebreakers were staying. The striking Linton telephone operators had one more demand before they were willing to come to the table. New Home Telephone Company manager Harley Guthrie had to leave the building. This was a demand that Guthrie, Mayor Miller, and others inside the building were unwilling to meet. So, those remaining inside the telephone building, all of whom were armed, hunkered down and called for reinforcements. Voice actor reading form newspaper: Linton Under Martial Law! Beckley: The ordeal made front page news as far away as Corpus Christi, Texas, Montpelier, Vermont, and Oklahoma City, Oklahoma, beating out coverage of soldiers returning from the war front. You see, the night before, when Mayor Miller called for backup, he wasn’t calling in the local police, or even the sheriff’s office. No, he knew local law enforcement would be unable to deal with this situation. Instead, he called the Governor of Indiana, James Goodrich, and asked him to send in the Indiana militia. And he did. Voice actor reading from newspaper: The riot at Linton last night is a disgrace to the citizenship of Linton and Greene county and a blot upon the fair name of Indiana. The mayor of Linton and the sheriff of Greene county have signed a statement admitting their inability to enforce the law and stating that they were unable to secure aid from citizens of the county to uphold the law. If these gentlemen tell the truth, their statement is a reflection upon the good name of Greene county and any citizen who was called upon to aid the officers and did not has himself become a violator of the law. 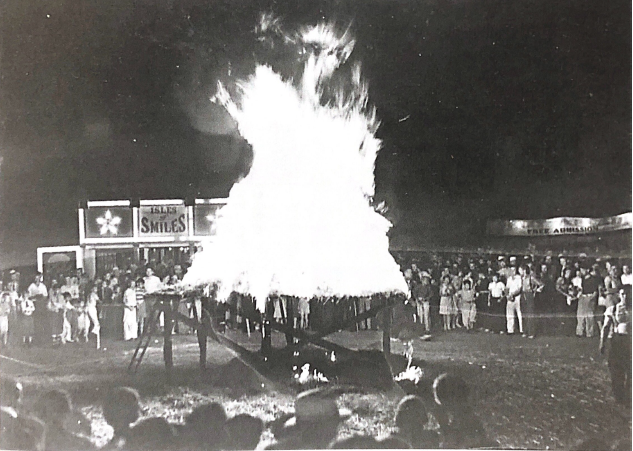 Beckley: So, in his estimation, not only were the protesters themselves a blot upon the fair name of Indiana, but everyone in Linton who hadn’t stepped up to help put down the protests was a criminal. Beckley: Soon after martial law was declared, 2 companies of Indiana militia, one from Terre Haute and one from Sullivan, were deployed to the town. When they arrived, they met a crowd of over 2000 townspeople, many of them miners who had stayed out of the mines for the day in order to support the striking telephone operators. Beckley: They weren’t the only ones rising in support. Shop owners all over town closed their doors. Women crowded the streets, children in tow. Restaurants refused to serve the militia men. People called the telephone company and demanded that their phones be removed from their home within 24 hours threatening to rip the phone from the wall. Linton was in the midst of a general strike. As the militia advanced through the town, the crowd parted to allow them to pass, but quickly closed ranks behind them, totally surrounding the soldiers. The throng booed and hissed as the troops passed. In the business section of town, a large group of uniformed WWI veterans rallied around an American flag and marched to the telephone company, where the militiamen and General Smith were stationed. When the vets their destination, Smith faced them and reprimanded them for having the audacity to take such action while in uniform. For an instant, it seemed that his words may quell the protesters. But then someone in the crowd shouted “slug him!” to which Smith replied that there “would be no such tactics” before hastily retreating to the safety of the telephone building. Beckley: The assembled masses surged forward, throwing bricks and coal into the already shattered windows. 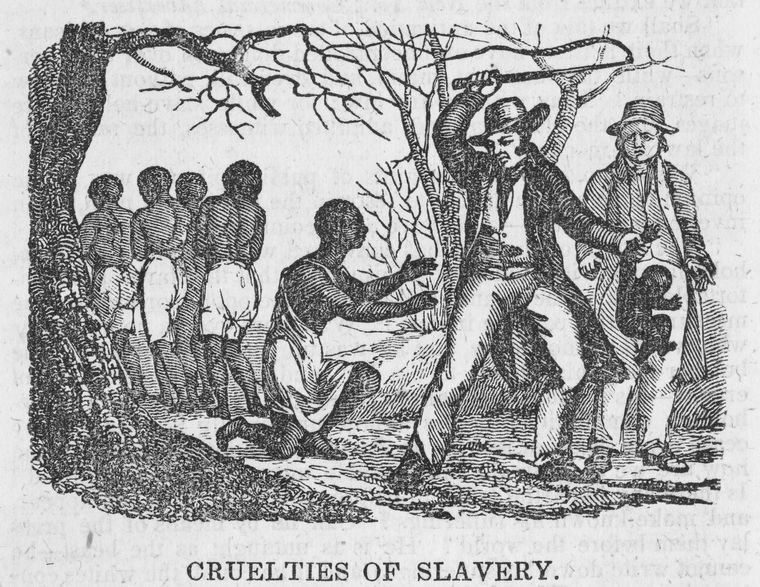 Militiamen patrolling the streets were assaulted by the mob, their guns torn from their hands and thrown to the street and the men kicked to the side. 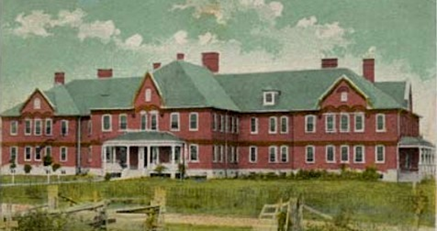 Inside the building, three men, including General Smith, were struck by flying debris. Realizing that they were close to losing any semblance of control, Smith ordered the militia to shoot into the crowd. When the soldiers raised their guns, they saw that the front of the crowd was composed mostly of women and children. Being reluctant to fire upon them, the militia lifted their weapons and fired over the heads of the mob. One protester was injured when a bullet grazed his forehead. Through all of this, several of the telephone operators who had been brought in from Indianapolis were apparently attempting to work at the switchboards in the building. It was agreed that it was high time for them to get out of dodge and so a portion of the uniformed protesters formed two lines and allowed the women to pass through the crowd. With that perceived victory, the crowd moved to their next demand – the militia needed to leave the town. One newspaper from a nearby town summed up the thoughts of Linton’s citizenry on having what was essentially a small army invade their town. Voice actor reading from newspaper: The good name of the city of Linton and its many hundreds of good law abiding citizens has been smirched by the coming of armed soldiers to quell a little three-girl riot…The whole thing hinges on the fact that a bunch of officials who had at some time traded backbones with a set of Goose Pond fishing worms crawled shiningly into the telephone building and yelled lustily for the state troops to come quickly…we’ll wager two bits there were less than six culprits. Beckley: Workers from Linton and surrounding areas refused to return to work while their town hosted these outsiders. All business in the town was at a standstill until the Linton telephone operators’ demands were met. Facing this community solidarity, Governor Goodrich agreed to get the troops out of the street and send committee to the city to investigate the situation and arbitrate an agreement. The Governor’s agreement, as well as an agreement from the New Home Telephone management to address the concerns of the operators, was announced to the assemblage from the steps of city hall. And with that, the throng dissipated and returned to their homes. The next day, when the Governor’s commission reached the city, a temporary agreement was reached. Beckley: The operators agreed to return to their posts for at least the next two weeks and the New Home Telephone Company agreed to a 40% wage increase, an 8 hour work day as opposed to the 9 hour day they had previously mandated and the striking women received full back pay for the duration of the strike. 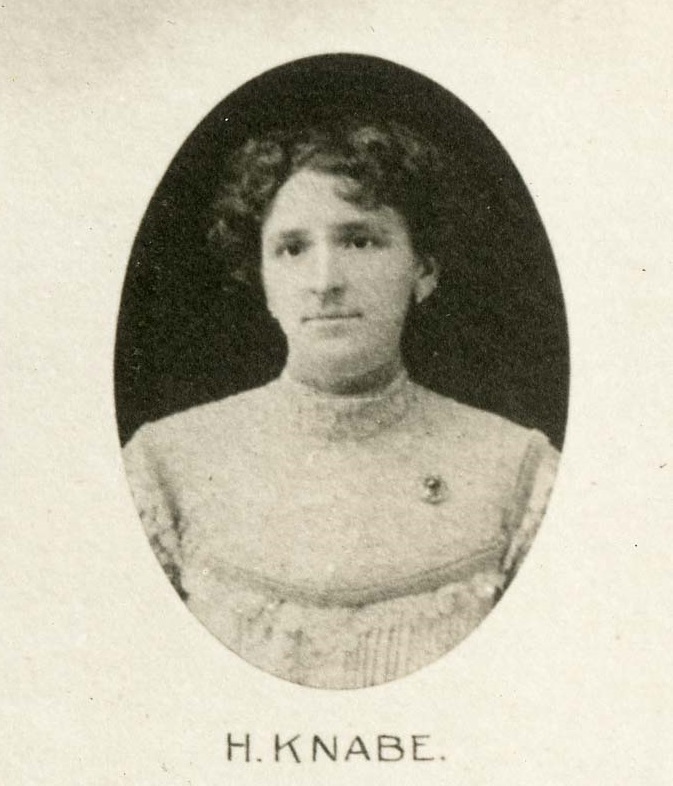 Another demand made by the striking women was that Maude Sherb, the chief operator, be dismissed, as she had crossed the picket line and continued working throughout the strike. Consequently, she was fired and Thelma Anderson, the leader of the unofficial operators’ union, replaced her. While this sounds like the strikers got quite a lot out of the agreement, the telephone company still wouldn’t recognize the operators’ union. After 2 weeks, when New Home still refused to recognize the union at the end of the temporary agreement, the operators went on strike again. This time, however, it was a much calmer affair. The company had learned their lesson and decided not to bring in outside workers to continue operations. Thus, the people of Linton didn’t rally as they had previously and there was no need to call in the militia. This second strike lasted for 9 weeks, all the while the town of Linton had no telephone service. Although there were appeals from Linton businesses for the strike to end, the New Home Telephone Company didn’t feel the same pressure to capitulate as they did in the face of the violence of the first strike. So, the strike ended after 9 weeks with the Operator’s union still not recognized by the company. While the second strike didn’t have any direct outcomes, the Linton Telephone Operators’ actions had a lasting effect on the community. Before the operator strike had even ended, another group of female workers in the area went on strike – this time, it was the teachers of Stockton Township, which is just outside of Linton. It’s impossible to think that the teacher’s strike was uninfluenced by that of the operator’s. Indeed, in a mass meeting much like the “indignation meeting” held in support of the operator’s strike, teachers called for another general strike to be carried out in support of the cause. However, the feat was not to be repeated and, while the strike did last for 3 months and even caused several schools to push back their start date, the teachers did not receive the same community support that had been shown for the operators. Beckley: 1919 was the high point in labor activism for years to come. There wouldn’t be a year with as many strikes or as much union activity until the height of the Great Depression. At that point, union membership began to rise again and peaked in 1954 at nearly 30 percent of workers. Since then, union membership has declined dramatically. In 2017, less than 11 percent of American workers were in a union. Today, while unions aren’t as mainstream as they once were they’re still very much a part of America, as we saw with the recent teacher’s strikes across the country. In addition, grassroots activity like the Occupy Movement of 2011 and, more recently, the fight for 15 movement, are using some of the same tactics used by unions in the past to accomplish similar objectives. Beckley: Labor movements have a long, mixed history in America and the Linton Telephone Operator’s strike of 1919 is just one small, yet fascinating, part of it. Beckley: Once again, I’m Lindsey Beckley and this has been Talking Hoosier History. Talking Hoosier History is a product of the Indiana Historical Bureau, a division of the Indiana State Library. Talking Hoosier History is written by me, Lindsey Beckley. Production and sound engineering by Jill Weiss Simins. Newspaper excerpts read by Justin Clark. Visit blog.history.in.gov and click “Talking Hoosier History” to see all of the sources for this episode. Find us on twitter and facebook at @talkhoosierhist and like, rate, and review us wherever you get your podcasts. And as always, thanks for listening.